One of the most popular questions about Hong Kong is if people in Hong Kong speak English. The answer is somewhat complex, and most people will be disappointed to hear that speaking English in Hong Kong is somewhat more difficult than the city attempts to portray. Because Hong Kong is a major metropolis (and a former British colony), people often arrive in Hong Kong with high expectations about the level of English. In general, they will be disappointed. Hong Kongers are far from fluent in English, and it certainly isn’t a second mother tongue. That said, Hong Kongers are arguably the best, aside from Singaporeans, users of English in the Asia region. Around 48 percent of Hong Kong residents speak Mandarin while 46 percent speak English. However, Cantonese is the most popular dialect as 96 percent of the population can speak it. 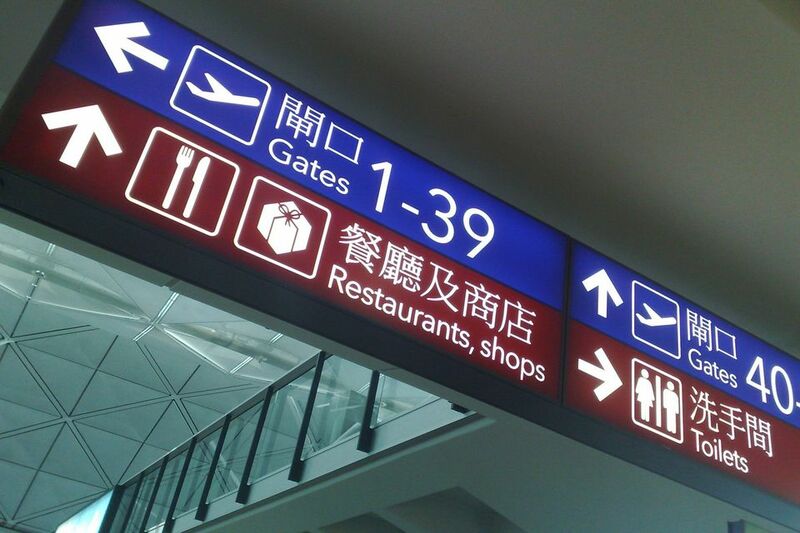 English is an official language in Hong Kong so all official signs and announcements are in both Cantonese and English. All government officials, including police officers and immigration officials, are required to have a communicative level of English, and, by in large, they do. In general, shop assistants, restaurant workers and hotel staff in the main tourist areas, such as Central, Wan Chai, Causeway Bay, and Tsim Sha Tsui will be competent in English. Menus in restaurants in these areas will also be provided in English. Seeing as tourists are rarely outside these areas, it means English should be spoken throughout your visit. Possible problem points include taxi drivers, who rarely speak English. They will, however, be able to contact someone at base by radio who does speak English. Outside the areas above, expect relatively basic English, especially at smaller shops and restaurants. Hong Kong pronunciation of English is also quite pronounced, and it can take a couple of days to adjust to the accents. In general, the quality of English language learning has been declining, both because of the handover from Britain to China and the increasing importance of Mandarin. The government is currently trying to improve English teaching and hopefully, the effects will be felt before too long. No matter where you go, it's always smart to learn a few key phrases in the native tongue. Please, thank you, hello, and help me are the most important. If you haven't memorized some intro words and phrases, you can also use common translator apps like Google Translate or iTranslate to write or say a sentence in English and show the translation to the local shopkeeper, taxi driver, or guide.